In this post, I list the outcomes for the first ten projects. 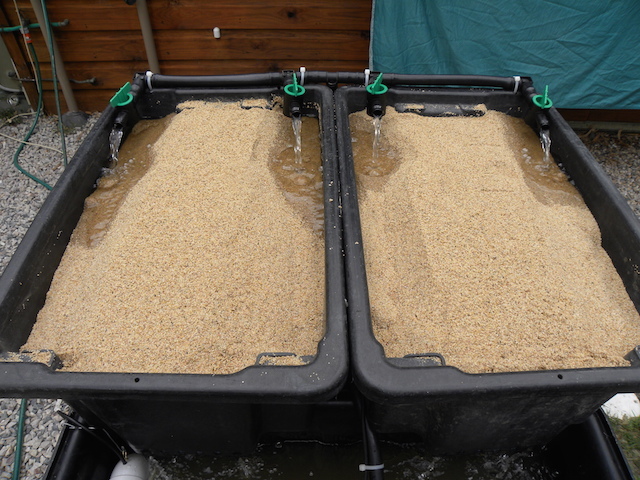 Sourcing the correct sand for the integrated aqua-vegeculture system (iAVs) had proved to be more difficult than we ever envisaged…so we documented a series of tests to enable prospective iAVs builders to determine that they had suitable sand. As fate would have it, we subsequently discovered that the US standard for construction sand (ASTM – C33) provided a suitable benchmark and things suddenly got a lot easier. Anyway, the article on the 5-Gallon Bucket Tests is to be found….HERE. To provide passive climate control by shading the front of the house from the afternoon sun. To blur the distinction between inside and outside. To provide a growing platform for vines and climbing plants. 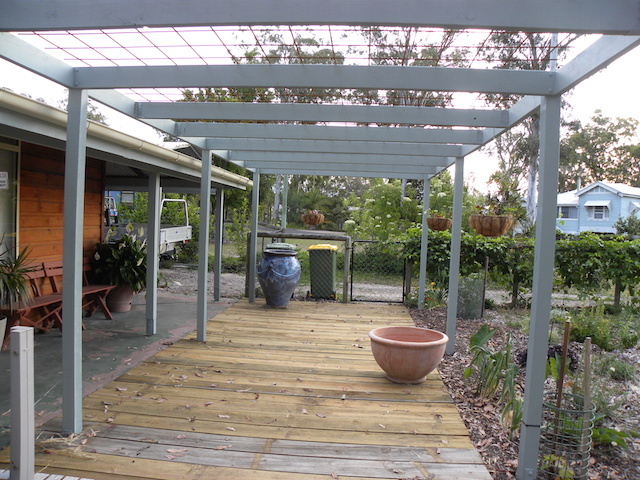 The space beneath the pergola now supports outdoor food preparation and service. With a growing space of just four square feet, this tiny unit seeks to demonstrate that iAVs is scalable and that it can produce useful quantities of food. Weighing in at over 300kg, it’s probably fair to say that, however it might have looked in my mind initially, it’s no longer a desktop system. In its current location, it’s not a fit place to keep fish so I’m currently using it to grow seeds using worm tea. I made a short video on the system build. Some things have changed, but you’ll get the idea. We created an iAVs Facebook Group and an iAVs Facebook Page with a view to expanding the audience of iAVs. I went into this project knowing little and with a number of prejudices around Facebook…and I still don’t know much about it and I still have reservations. The capacity of Facebook to reach a very large audience quickly is without question. You can access the iAVs Facebook Group….HERE. This was an interim build so that I could take advantage of a late season opportunity to get some jade perch. It was always intended to be a temporary fix while I built a more comprehensive recirculating aquaculture system and my first iAVs. Regrettably, a convergence of events resulted in a nitrite spike that killed half of the 100 fish in the system and left the rest languishing to the point that I had no other option but to euthanase them. Arguably, the most useful outcome of this project was an expensive reminder that shortcuts + micro-livestock = pain. As the title suggests, this Deek Jackson production is an introduction to what is arguably the most productive, resilient and sustainable integrated aquaculture system in the world. The Integrated Aqua-Vegeculture System (iAVs) uses sand to facilitate filtration (both mechanical and biological) and the soil microbiology that is unique to the system. 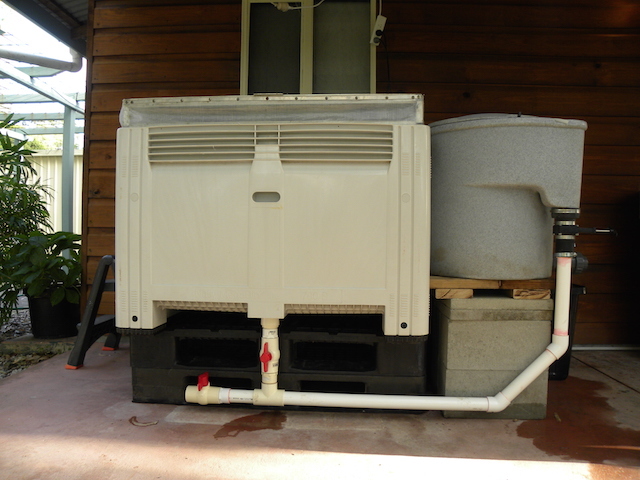 The sand has to be inert, free of silt/clay and to be able to drain effectively. The 5-gallon bucket tests are designed to ensure that iAVs builders identify sand of the required specification. The 7-part YouTube video series is the visible outcome of the 5-Gallon Bucket Tests project…and they can be found….HERE. Sorry ’bout the head but it’s the only one I’ve got. This project required that I learn how to turn a WordPress blog into a web site and the DIVI theme seemed to be the best way to achieve that end – without the need to learn to write code. A 4-hour familiarisation session with my IT technician and a few hours of experimentation allowed me to create a web site that works. I put my newly acquired learning to work in the following project. This is the product of collaboration between Dr Mark McMurtry – the inventor of the first successful closed loop integration of fish and plants – and myself. The Integrated Aqua-Vegeculture System (iAVs) is the progenitor to everything we now know as aquaponics and is arguably the most productive, resilient and sustainable food production system of its type in the world. It’s even more remarkable for the fact that it first came to light prior to 1985. iAVs was never promoted with the same vigour as gravel-based culture and raft aquaponics so it has yet to achieve the same prominence. While we had made a large body of information available, we still found that people had difficulty navigating the work so I re-designed the iAVs website to provide a more structured way to learn about this exciting food production method. Visit http://www.iavs.info to see the result. The verge garden is an irregular-shaped piece of land that separates my property from the roadway. While it’s technically a local-government responsibility, I kept it mowed…so I decided, since I maintained it, to make it a bit more productive and user-friendly….and to soften the fenceline across the front of my micro-farm. To that end, I sheet mulched the space to stifle weeds and to promote soil fertility. 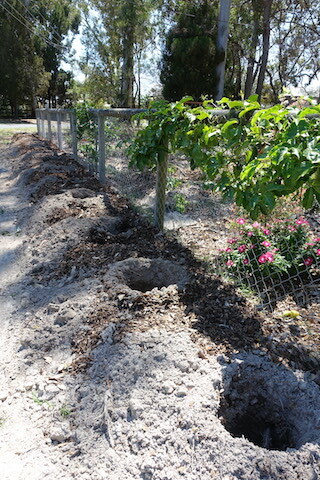 I’ve planted moringa trees, comfrey and perennial peanut – all useful fodder species. In my next post, I’ll outline the outcomes for Projects #11 – #20…and I’ll endeavour to get some more up-to-date photos of these projects.